Fubar2 USB DAC audio amplifier from Firestone Audio Co., Ltd.
Hi-Fi Amplifier > Fubar2 USB DAC > Firestone Audio Co., Ltd.
Fubar II is a USB DAC. Adopting Universal Serial Bus can plug and play without installing any drivers (with Linux, Mac OS or PC Windows system). Also using separate regulators for analogy & digital circuits?setting the power switch and reinforcing the regulator. According to Fubar II which is a transfer from digital signal to analogy signal, it can enhance the quality of the sound. 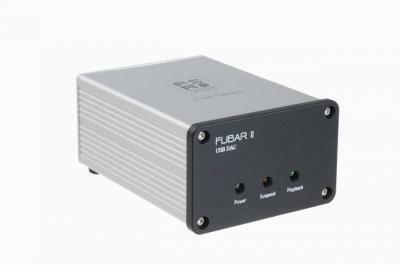 Fubar2 USB DAC > Firestone Audio Co., Ltd.